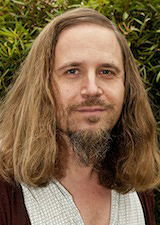 Dr Rock's research interests are in the area of altered states of consciousness. More recently he has become interested in poker-machine problem gambling, flying phobia, early maladaptive schema and the link between adult attachment styles and psychopathology. Krippner, S., Rock, A. J., Friedman, H. L., & Zingrone, N. (Eds.) (in press). Advances in parapsychological research, volume 10. Jefferson, NC: McFarland. Rock, A. J. (Ed.) (2014). The survival hypothesis: Essays on mediumship. Jefferson, NC: McFarland. Rock, A. J., & Storm, L. (Eds. ), (2014), In search of psi: Contemporary perspectives on ESP, psychokinesis, and survival. Pari (GR), Italy: Pari Publishing. Krippner, S., Rock, A. J., Beischel, J., Friedman, H. L., & Fracasso, C. L. (Eds. ), (2013). Advances in parapsychological research, volume 9. Jefferson, NC: McFarland. Rock, A. J., & Krippner, S. (2011). Demystifying shamans and their world: A multi-disciplinary study. Exeter, UK: Imprint Academic. Storm, L., & Rock, A. J. (2011). Shamanism and psi: Imagery cultivation as an alternative to the ganzfeld protocol. Adelaide, SA: Hyde Park Press. Rock, A. J. (2010). Constructivism and shamanic experiences: A psychological study. Saarbrücken, Germany: Lambert Academic Publishing. Rock, A. J., & Laughlin, C. D. (accepted). The advancement of transpersonal psychological science: A neurophenomenological trajectory. In D. A. MacDonald & M. Almendro (Eds. ), Transpersonal psychology as a science: An evaluation of its present status and future directions. Krippner, S., Rock, A. J., Friedman, H. L., & Zingrone, N. (in press). Introduction: Proof, process, and practical applications. In S. Krippner, A. J. Rock, H. L. Friedman, & N. Zingrone (Eds. ), Advances in parapsychological research, volume 10. Jefferson, NC: McFarland. Rock, A. J., Thorsteinsson, E. B., & Tressoldi, P. E. (in press). A meta-analysis of anomalous information reception by mediums: Assessing the forced-choice design in mediumship research, 2000-2014. In S. Krippner, A. J. Rock, H. L. Friedman, & N. Zingrone (Eds. ), Advances in parapsychological research, volume 10. Jefferson, NC: McFarland. Storm, L., & Rock, A. J. (2015). Anomalous cognition and PK research in Australia and others labs. In E. C. May & B. M. Sonali (Eds. ), Extrasensory perception: Support, skepticism, and science: Vol. 1: History, controversy, and research. Santa Barbara, CA: Praeger. Laughlin, C. D., & Rock, A. J. (2015). Mythmaking and spiritual development: Stan Krippner’s prescription for a personal mythology. In J. Davies & D. Pitchford (Eds. ), Stanley Krippner: A life of dreams, myths, and visions. San Francisco, CA: University Professors Press. Storm, L., & Rock, A. J. (2015). Dreaming of psi: A narrative review and meta-analysis of dream-ESP studies at the Maimonides Dream Laboratory and beyond. In J. Davies & D. Pitchford (Eds. ), Stanley Krippner: A life of dreams, myths, and visions. San Francisco, CA: University Professors Press. Rock, A. J., & Storm, L. (2014). Searching for psi: Destination unknown or destination nowhere? In A. J. Rock & L. Storm (Eds. ), In search of psi: Contemporary perspectives on ESP, psychokinesis, and survival. Pari (GR), Italy: Pari Publishing. Storm, L., & Rock, A. J. (2014). Mental Imagery cultivation and extra-sensory perception. In A. J. Rock & L. Storm (Eds. ), In search of psi: Contemporary perspectives on ESP, psychokinesis, and survival. Pari (GR), Italy: Pari Publishing. Jamieson, G. A., & Rock, A. J. (2014). A systems level neuroscience approach to mediumship and the source of psi problem. In A. J. Rock (Ed. ), The survival hypothesis: Essays on mediumship. Jefferson, NC: McFarland. Laughlin, C., & Rock, A. J. (in press). Mythmaking and spiritual development: Stan Krippner's prescription for a personal mythology. In J. Davies & D. Pitchford (Eds. ), Stanley Krippner: A life of dreams, myths, and visions. San Francisco, CA: University Professors Press. Locke, R. G., Rock, A. J., & Walsh, R. N. (in press). Shamanism and mediumship: Confluence and difference. In A. J. Rock (Ed. ), The survival hypothesis: Essays on mediumship. Jefferson, NC: McFarland. Rock, A. J. (in press). Introduction: The medium and the message. In A. J. Rock (Ed. ), The survival hypothesis: Essays on mediumship. Jefferson, NC: McFarland. Rock, A. J., & Storm, L. (in press). Searching for psi: Destination unknown or destination nowhere? In A. J. Rock & L. Storm (Eds. ), In search of psi: Contemporary perspectives on ESP, psychokinesis, and survival. Pari (GR), Italy: Pari Publishing. Rock, A. J., Thorsteinsson, E. B., & Tressoldi, P. E. (in press). A meta-analysis of anomalous information reception by mediums: Assessing the forced-choice design in mediumship research, 2000-2012. In S. Krippner, A. J. Rock, H. L. Friedman, & N. Zingrone (Eds. ), Advances in parapsychological research, volume 10. Jefferson, NC: McFarland. Storm, L., & Rock, A. J. (in press). Dream psi: A narrative review and meta-analysis of ESP studies at the Maimonides Dream Laboratory and beyond. In J. Davies & D. Pitchford (Eds. ), Stanley Krippner: A life of dreams, myths, and visions. San Francisco, CA: University Professors Press. Storm, L., & Rock, A. J. (in press). Mental Imagery cultivation and extra-sensory perception. In A. J. Rock & L. Storm (Eds. ), In search of psi: Contemporary perspectives on ESP, psychokinesis, and survival. Pari (GR), Italy: Pari Publishing. Krippner, S., Rock, A. J., Beischel, J., Friedman, H. L., & Fracasso, C. L. (2013). Introduction: Science and psi. In S. Krippner, A. J. Rock, J. Beischel, H. L. Friedman, H. L., & C. L. Fracasso (Eds. ), Advances in parapsychological research, volume 9 (pp. 1-8). Jefferson, NC: McFarland. Rock, A. J., Friedman, H. L., & Jamison, G. A. (2013). Operationalizing psi-conducive altered states: Integrating insights from consciousness studies into parapsychology. In S. Krippner, A. J. Rock, J. Beischel, H. L. Friedman, H. L., & C. L. Fracasso (Eds. ), Advances in parapsychological research, volume 9 (pp. 110-125). Jefferson, NC: McFarland. Rock, A. J., & Krippner, S. (2012). States of consciousness or states of phenomenology? In A. E. Cavanna & A. Nani (Eds. ), Consciousness: States, mechanisms and disorders. Hauppauge, NY: Nova Science Publishers, Inc.
Beischel, J., Rock, A. J., & Krippner, S. (2011). Reconceptualizing the field of "Altering Consciousness:" A 50-year retrospective. In E. Cardeña & M. Winkelman (Eds. ),Altering Consciousness: A multidisciplinary perspective. Volume 1: History and evolution. Multidisciplinary perspectives (pp. 113-138). Westport, CT: Praeger. Cott, C., & Rock, A. J. (2011). 'Turning the light around' in the Secret of the Golden Flower. In L. Kohn (Ed. ), Living authentically: Daoist contributions to modern psychology (pp. 79-106). Dunedin, FL: Three Pines Press. Rock, A. J., & Krippner, S. (2011). States of consciousness redefined as patterns of phenomenal properties: An experimental application. In D. Cvetkovic & I. Cosic (Eds. ), States of consciousness: Experimental insights into meditation, waking, sleep and dreams. The Frontiers collection (pp. 257-278). Paris, France: Springer-Verlag. Azoum, M., Clark, G. I., & Rock, A. J. (in press). The impact of affect labelling on responses to aversive flying cues. PLOS One. Clark, G. I., Rock, A. J., McKeith, C. F., & Coventry, W. L. (2017). Cue-reactive rationality, visual imagery and volitional control predict cue-reactive urge to gamble in poker-machine gamblers. Journal of Gambling Studies, 33(3), 807-823. Martin, K. P., Blair, S., Clark, G. I., Rock, A. J., & Hunter, K. R. (2017). Trait mindfulness moderates the relationship between early maladaptive schemas and depressive symptoms. Mindfulness. 1-11. McKeith, C. F., Rock, A. J., & Clark, G. I. (2017). Trait mindfulness, problem-gambling severity, altered state of awareness and urge to gamble in poker-machine gamblers. Journal of Gambling Studies, 33(2), 617-632. Storm, L., Sherwood, S. J., Roe, C. A., Tressoldi, P. E., Rock, A. J., & Di Risio, L. (2017). On the correspondence between dream content and target material under laboratory conditions: A meta-analysis of dream-ESP studies, 1966-2014. International Journal of Dream Research, 10, 120-140. Wright, C. J., Clark, G. I., Rock, A. J., & Coventry, W. L. (2017). Intolerance of uncertainty mediates the relationship between adult attachment and worry. Personality and Individual Differences, 112, 97-102. Berchik, Z. E., Rock, A. J., & Friedman, H. L. (2016). Allow me to introduce my selves: An introduction to and phenomenological study of Voice Dialogue therapy. Journal of Transpersonal Psychology, 48, 88-112. Clark, G. I., & Rock, A. J. (2016). Processes contributing to the maintenance of flying phobia: A narrative review. Frontiers in Psychology, 7, 754. Mavromoustakos, E., Clark, G. I., & Rock, A. J. (2016). Evaluating perceived probability of threat-relevant outcomes and temporal orientation in flying phobia. PloS one, 11(8), e0161272. Allen, P. J., Roberts, L. D., Baughman, F. D., Loxton, N. J., Van Rooy, D., Rock, A. J., & Finlay, J. (2016). Introducing StatHand: A cross-platform mobile application to support students’ statistical decision making. Frontiers in Psychology, 7, 288. Rock, A. J., Coventry, W. L., Morgan, M. I., & Loi, N. M. (2016). Teaching research methods and statistics in eLearning environments: Pedagogy, practical examples and possible futures. Frontiers in Psychology, 7: 339. Tricker, C., Rock, A. J., & Clark, G. I. (2016). Cue-reactive altered state of consciousness mediates the relationship between problem-gambling severity and cue-reactive urge in poker-machine gamblers. Journal of Gambling Studies, 32(2) 661-674. Harris, K. P., Rock, A. J., Clark, G. I. (2015). Spiritual emergency, psychosis and personality: A quantitative investigation. Journal of Transpersonal Psychology, 47(2), 263-285. Rock, A. J., Denning, N., Harris, K. P., Clark, G. I., Misso, D. (2015). Exploring holotropic breathwork: An evaluation of altered states of awareness and patterns of phenomenological sub-systems with reference to transliminality. Journal of Transpersonal Psychology, 47(1), 3-24.
Cooper, E. J., Rock, A. J., Harris, K. P., & Clark, G. I. (2015). The factor analytic structure and personality correlates of ‘spiritual emergency’. Journal of Transpersonal Psychology, 47(2), 242-262. Rock, A. J., & Storm, L. (2015). Testing telepathy in the medium/proxy-sitter dyad:A protocol focusing on the source-of-psi problem. Journal of Scientific Exploration, 29, 565-584. Beischel, J., Boccuzzi, M., Biuso, M., & Rock, A. J. (2015). Anomalous information reception by research mediums under blinded conditions II: Replication and extension. Explore: The Journal of Science and Healing, 11(2), 136-142. Laughlin, C. D., & Rock, A. J. (2014). What can we learn from shamans’ dreaming? A cross-cultural exploration. Dreaming, 24(4), 233-252. Storm, L., & Rock, A. J. (2014). An investigation of the I Ching using the Q-Sort Method and an RNG-PK design: I. Four possible psi predictors. Australian Journal of Parapsychology, 14(1), 29-67. Rock, A. J., Storm, L., Harris, & Friedman, H. L. (2013). Shamanic-like journeying and psi-signal detection: II. Phenomenological dimensions. Journal of Parapsychology, 77, 249-270. Storm, L., Ertel, S., & Rock, A. J. (2013). Paranormal effects and behavioural characteristics of participants in a forced-choice psi task: Ertel's Ball Selection Test under scrutiny. Australian Journal of Parapsychology, 13, 111-131. Rock, A. J., & Storm, L. (2012). Shamanism, imagery cultivation, and psi-signal detection: A theoretical model, experimental protocol, and preliminary data. International Journal of Transpersonal Studies, 31, 91-102. Rock, A. J., & Kambouropoulos, N. (2012-2013). The phenomenology of alcohol cue-reactivity: A partial replication and extension. Imagination, Cognition and Personality, 32, 75-93. Rock, A. J., & Permezel, F. E., & Storm, L. (2012). Randomized expectancy-enhanced placebo-controlled trial of the impact of Quantum BioEnergetic distant healing and paranormal belief on mood disturbance: A pilot study. Explore: Journal of Science and Healing, 8, 107-117. Kambouropoulos, N., & Rock, A. J. (2010). Extraversion and altered state of awareness predict alcohol cue reactivity. Journal of Individual Differences, 31(4), 178-184. Rock, A. J. (2010). Is the 'sense of being stared at' an artefact of response bias? Australian Journal of Parapsychology, 10(2), 140-152. Rock, A. J., & Permezel, F. E. (2010). Randomized expectancy-enhanced placebo-controlled trial of the impact of Quantum BioEnergetics and Mental Boundaries on affect. Journal of Scientific Exploration, 24(1), 49-66. Rock, A. J., & Storm, L. (2010). Shamanic-like journeying and psi: II. Mental boundaries, phenomenology, and the picture-identification task. Australian Journal of Parapsychology, 10(1), 41-68. Kambouropoulos, N., & Rock, A. J. (2009-2010). Quantifying phenomenology associated with exposure to alcohol-related cues. Imagination, Cognition and Personality, 29(3), 283-295. Cott, C. C., & Rock, A. J. (2009). Towards a transpersonal psychology of Daoism: Definitions, past research and future directions. International Journal of Transpersonal Studies, 28, 119-133. Ferris, L. J., & Rock, A. J. (2009). Mental boundaries, staring detection and phenomenology: A synthesised ganzfeld and remote staring study. Australian Journal of Parapsychology, 9(2), 193-213. Permezel, F. E., & Rock, A. J. (2009). Quantum BioEnergetics, mental boundaries, and affective response: A randomized placebo-controlled pilot study. Australian Journal of Parapsychology, 9(1), 71-95. Rock, A. J. (2009). Trait absorption, altered meaning, and mood disturbance during shamanic-like journeying: Moderator and indirect effects analyses. Transpersonal Psychology Revie, 13(2), 64-75. Rock, A. J., Beischel, J., & Cott, C. C. (2009). Psi vs. survival: A qualitative investigation of mediums' phenomenology comparing psychic readings and ostensible communication with the deceased. Transpersonal Psychology Review, 13(2), 76-89. Rock, A. J., & Kambouropoulos, N. (2009). Does altered state of awareness mediate the relationship between the unusual experiences trait and alcohol cue-reactivity? North American Journal of Psychology, 11(3), 443-454. Rock, A. J., & Klettke, B. (2009). A transpersonal contribution to the philosophical debate concerning causality. Transpersonal Psychology Review, 13(1), 68-76. Storm, L., & Rock, A. J. (2009). Shamanic-like journeying and psi: I. Imagery cultivation, paranormal belief, and the picture-identification task. Australian Journal of Parapsychology, 9(2), 165-191. Storm, L., & Rock, A. J. (2009). Imagery cultivation vs. noise reduction: Shamanic-like journeying as a psi-conducive alternative to the ganzfeld protocol. Australian Journal of Parapsychology, 9(1), 5-31. Cott, C., & Rock, A. J. (2008). Phenomenology of N,N-dimethyltryptamine use: A thematic analysis. Journal of Scientific Exploration. 22(3), 359-370. Rock, A. J., Abbott, G., Childargushi, H., & Kiehne, M. (2008). The effect of shamanic-like stimulus conditions and the cognitive-perceptual factor of schizotypy on phenomenology. North American Journal of Psychology, 10(1), 79-98. Rock, A. J., Abbott, G. R., & Kambouropoulos, N. (2008). Altered experience mediates the relationship between schizotypy and mood disturbance during shamanic-like journeying. Journal of Scientific Exploration. 22(3), 371-384. Rock, A. J., & Beischel, J. (2008). Quantitative analysis of research mediums' conscious experiences during a discarnate reading versus a control task: A pilot study. Australian Journal of Parapsychology, 8(2), 157-179. Rock, A. J., Beischel, J., & Schwartz, G. E. (2008). Thematic analysis of research mediums' experiences of discarnate communication. Journal of Scientific Exploration, 22(2), 179-192. Rock, A. J., & Kambouropoulos, N. (2008). Conceptualizing craving: Extrapolations from consciousness studies. North American Journal of Psychology, 10(1), 127-146. Rock, A. J., & Krippner, S. (2008). Is a realist interpretation of Shamanic "non-physical" worlds logically incoherent? Transpersonal Psychology Review, 12(2), 23-31. Rock, A. J., & Krippner, S. (2008). Some rudimentary problems pertaining to the construction of an ontology and epistemology of shamanic journeying imagery. International Journal of Transpersonal Studies, 27, 12-19. Rock, A. J., & Krippner, S. (2008). Proposed criteria for the necessary conditions for shamanic journeying imagery. Journal of Scientific Exploration, 22(2), 215-226. Rock, A. J., Wilson, J. M., Johnston, L. J., & Levesque, J. V. (2008). Ego boundaries, shamanic-like techniques and subjective experience: An experimental study. Anthropology of Consciousness, 19(1), 60-83. Rock, A. J. (2007). Is the logic of the t-test for two independent samples fallacious? An analysis of the ontological status of the treated population. North American Journal of Psychology, 9(1), 163-172. Rock, A. J., & Baynes, P. B. (2007). What are the origins of shamanic journeying imagery? The modification of a hypnoanalytic technique to address an enduring methodological problem. The Humanistic Psychologist, 35(4), 349-361. Rock, A. J., & Kambouropoulos, N. (2007). Toward a phenomenology of urge to drink: A future prospect for the cue-reactivity paradigm. North American Journal of Psychology, 9(2), 387-406. Rock, A. J., & Krippner, S. (2007). Does the concept of "altered states of consciousness" rest on a mistake? International Journal of Transpersonal Studies, 26, 33-40. Rock, A. J., & Krippner, S. (2007). Shamanism and the confusion of consciousness with phenomenological content. North American Journal of Psychology, 9(3), 485-500. Rock, A. J. (2006). Phenomenological analysis of experimentally induced visual mental imagery associated with shamanic journeying to the lower world. International Journal of Transpersonal Studies, 25, 45-55. Rock, A. J., Casey, P. J., & Baynes, P. B. (2006). Experimental study of ostensibly shamanic journeying imagery in naive participants II: Phenomenological mapping and modified affect bridge. Anthropology of Consciousness, 17(1), 65-83. Rock, A. J. (2005). Why does the universe exist? An advaita vedantic perspective. International Journal of Transpersonal Studies, 24, 69-76. Rock, A. J., & Baynes, P. B. (2005). Shamanic journeying imagery, constructivism and the affect bridge technique. Anthropology of Consciousness, 16(2), 50-71. Rock, A. J., Baynes, P. B., & Casey, P. J. (2005). Experimental study of ostensibly shamanic journeying imagery in naive participants I: Antecedents. Anthropology of Consciousness, 16(2), 72-92. Rock, A. J., Clark, G. I., Martin, K. P., Blair, S., & Hunter, K. R. (2017, October). The link between early maladaptive schemas and depressive symptoms is influenced by trait mindfulness. 9th Australian Rural and Remote Mental Health Symposium, Albury, Australia, 2017. Clark, G. I., Rock, A. J., Hall, A. (2016). Cue-reactive imagery, volitional control and anxiety in response to aversive flying-related scenarios. Paper presented at the 8th World Congress of Behavioural and Cognitive Therapies, Melbourne, Australia, 2016. Clark, G. I., Mavromoustakos, E., &Rock, A. J. (2016, June). Evaluating perceived probability of threat-relevant outcomes and temporal orientation in flying phobia. Poster presentation at the 8th World Congress of Behavioural and Cognitive Therapies, Melbourne, Australia, 2016. Roberts, L., Allen, P., Baughman, F., Loxton, N., Van Rooy, D., Rock, A. J. & Finlay, J. (2016, July 24–29). StatHand: A mobile application supporting student statistical decision making. Paper presented at the 31st International Congress of Psychology, Yokohama, Japan. Allen, P. J., Roberts, L. D., Baughman, F. D., Loxton, N. J., Van Rooy, D., Rock, A. J., & Finlay, J. (2015, October). StatHand: A mobile application supporting students’ statistical decision making. Poster presented at The 12th Annual Conference of the International Society for the Scholarship of Teaching and Learning (issotl), Melbourne, Australia. Harris, K. P., Denning, N. C., Rock, A. J., & Clark, G. I. (2015, September). Exploring holotropic breathwork: An evaluation of altered states of awareness and patterns of phenomenological sub-systems with reference to transliminality. Paper presented at the IX International Transpersonal Conference, Salvador, Brazil. Harris, K. P., Vine, E. J., Rock, A. J., & Clark, G. I. (2015, September). Spiritual emergency, psychosis and personality. Paper presented at the IX International Transpersonal Conference, Salvador, Brazil. Alldis, M. P., Rock, A. J., Clark, G. I., Clark, L, & Gregory, S. (2015, April). Supporting students in virtual worlds: Implementing Second Life in a regional university residential system. Paper presented at 2015 AACUHO STARNET/STARREZ Conference, Brisbane, Queensland, Australia. Allen, P., Baughman, F., Roberts, L., Van Rooy, D., Rock, A., Loxton, N. & Lourenco, A. (2014, June 10–11). StatHand: A rationale for the development of a mobile application to guide students’statistical decision making.Poster presented at the 2014 OLT (Office for Learning and Teaching) Conference: Learning and Teaching for our Times: Higher Education in the Digital Era, Sydney, Australia. Clark, G., & Rock, A. J. (2014, November). Quantifying phenomenology in rural and remote clinical research. Poster presented at the 6th Australian Rural and Remote Mental Health Symposium, Albury, Victoria, Australia. Harris, K. P., & Rock, A. J. (2014, November). Spirituality and psychological crisis: Rural and remote locations as the best therapy for spiritual emergency. Poster presented at the 6th Australian Rural and Remote Mental Health Symposium, Albury, NSW. Harris, K. P., & Rock, A. J. (2014, August). Spirituality and psychological crisis: Zeroing in on the spiritual emergency construct. Poster presented at the 15th International Mental Health Conference, Gold Coast, QLD, Australia. Beischel, J., Rock, A.J., & Boccuzzi, M. (2013, June). The source of mediums information: A quantitative phenomenological analysis. Paper presented at the 32nd Annual Meeting of the Society for Scientific Exploration, Dearborn, Michigan. Beischel, J., Boccuzzi, M., Biuso, M., & Rock, A. J. (April, 2012). Anomalous information reception by certified research mediums. Poster presented at the 2012 Bial Foundation Symposium, Casa do Médico, Portugal. Rock, A. J. (April, 2012). Shamanic-like journeying and psi-signal detection: In search of the ESP-conducive component/s of a novel experimental protocol. Poster presented at the 2012 Bial Foundation Symposium, Casa do Médico, Portugal. Rock, A. J., Beischel, J., Boccuzzi, M., & Biuso, M. (April, 2012). Quantitative analyses of claimant mediums’ phenomenology and the accuracy of their readings. Paper presented at the 2012 Bial Foundation Symposium, Casa do Médico, Portugal. Berchik, Z. E., & Rock, A. J. (November, 2011). The phenomenology of the Voice Dialogue process. ACA 2011 National Conference, 2011, Melbourne. Dowie, T., & Rock, A. J. (November, 2011). Re-conceptualising transpersonal counseling: An extended vision of the humanistic counseling project. ACA 2011 National Conference, 2011, Melbourne. Denning, N., & Rock, A. J. (August, 2011). “Doing not doing”: An applied transpersonal psychotherapy. World Congress of Psychotherapy, 2011, Sydney. Dowie, T., & Rock, A. J. (August, 2011). Dissecting the “myth” of the isolated mind: The inter-subjectivity problem in psychotherapy. World Congress of Psychotherapy, 2011, Sydney. Rock, A. J., & Berchik, Z. (August, 2011). Allow Me to Introduce My Selves: The phenomenology of Voice Dialogue. World Congress of Psychotherapy, 2011, Sydney. Beischel, J., Biuso, M., Boccuzzi, M., & Rock, A. J. (May, 2011). Anomalous information reception by research mediums under quintuple-blind conditions: Can the mind exist without the body? SSE at the Forefront of Science: 30th Annual Meeting of the Society for Scientific Exploration (SSE), Boulder, Colorado, USA, 2011. Rock, A. J. (2010, December). The transpersonal and the paranormal: Some correspondences between transpersonal psychology and parapsychology. 2nd Annual AIPR Lecture, Melbourne, Australia, 2010. Rock, A. J., & Storm, L. (2010, September). Shamanism and the paranormal. Paper presented at The Fifth Victorian Transpersonal Psychology Symposium, Melbourne, Australia, 2010. Rock, A. J., & Storm, L. (2010, September). Mental imagery cultivation and auditory driving promote paranormal performance. Poster presented at The Fifth Victorian Transpersonal Psychology Symposium, Melbourne, Australia, 2010. Rock, A. J., & Storm, L. (2010, June). Shamanic-like journeying and paranormal performance in a picture identification task. Paper presented at the 17th International Transpersonal Conference, Moscow, Russia, 2010. Beischel, J., & Rock, A. J. (2010, April). A phenomenological pathway to an empirically driven distinction between survival psi and somatic psi by research mediums. Paper presented at the Toward a Science of Consciousness 2010, Tucson Convention Center, Tucson, Arizona, 2010. Rock, A. J., Storm, L., & Cott, C. C. (2010, April). Imagery cultivation and anomalous cognition: An experimental protocol and preliminary data. Poster presented at the Thirty-Seventh Australasian Experimental Psychology Conference, The University of Melbourne, Melbourne, Australia, 2010. Rock, A. J., Hooley, M., & Wilkie, J. B. (2009, November). Empowering the virtual student: “[Cyber]Space is the Place.” Paper presented at the 2009 Learning Technologies Conference. Sunshine Coast, Australia, 2009. Rock, A. J., Permezel, F. E., Storm, L. (2009, September). The effect of distant healing intention and personality on negative mood. Paper presented at The Fourth Victorian Transpersonal Psychology Symposium, Melbourne, Australia, 2009. Beischel, J., & Rock, A. J. (2009, August). Addressing the survival vs. psi debate through process-focused mediumship research. Paper presented at The 52nd Annual Convention of the Parapsychological Association (PA), Seattle, Washington, 2009. Rock, A. J., Wilkie, J. B., Hooley, M., & Wig, P. (2009, July). Towards a cyberspatial pedagogy: Exploring synchronous online learning potentials. Paper presented at the 2009 Deakin Teaching and Learning Conference. Melbourne, Australia, 2009. Rock, A. J. (2008, September). Shamanic-like journeying and mood disturbance: What I have learned so far. Paper presented at The Third Victorian Transpersonal Psychology Symposium, Melbourne, Australia, 2008. Rock, A. J., & Beischel, J. (2008, August). Toward a process-focused approach to mediumship research. Paper presented at the Alternative Expressions of the Numinous Conference, University of Queensland, Brisbane, Australia, 2008. Rock, A. J., & Beischel, J. (2008, March). Quantitative phenomenological analysis of mediums' purported communication with discarnates. Paper presented at the 28th Annual Society for the Anthropology of Consciousness Spring Conference, Yale University, New Haven, Connecticut, 2008. Rock, A. J., Abbott, G. R., & Kambouropoulos, N. (2008, March). Correlates of mood disturbance during shamanic-like journeying with drumming. Paper presented at the 28th Annual Society for the Anthropology of Consciousness Spring Conference, Yale University, New Haven, Connecticut, 2008. Cott, C., & Rock, A. J. (2008, March). Thematic analysis of N,N-dimethyltryptamine-induced experiences. Paper presented at the 28th Annual Society for the Anthropology of Consciousness Spring Conference, Yale University, New Haven, Connecticut, 2008. Krippner, S., & Rock, A. J. (2008, March). Realism and the shaman’s cosmos. Paper presented at the 28th Annual Society for the Anthropology of Consciousness Spring Conference, Yale University, New Haven, Connecticut, 2008. Rock, A. J. (2007, August). Advaita vedanta and the super-ultimate “why.” Paper presented at the Alternative Expressions of the Numinous Conference, University of Queensland, Brisbane, Australia, 2007. Rock, A. J., Abbott, G. R, Kiehne, M. L., & Childargushi, H. (2007, August). Shamanism, fantasy proneness and phenomenology. Paper presented at the Alternative Expressions of the Numinous Conference, University of Queensland, Brisbane, Australia, 2007. Rock, A. J., & Kambouropoulos, N. (2007, July). Toward a phenomenology of emotional response to alcohol: Methodological problems and future directions. Poster presented at the International Society for Research on Emotions (ISRE) 2007 Conference, Sunshine Coast, Australia. Rock, A. J., Abbott, G., Childargushi, H., & Kiehne, M. (2007, April). The effect of shamanic journeying and schizotypy on phenomenology: An experimental study of threshold states. Paper presented at the 27th Annual Society for the Anthropology of Consciousness Spring Conference, San Diego, California, 2007. Rock, A. J., & Krippner, S. (2007, April). Altered states of consciousness do not exist. Paper presented at the 27th Annual Society for the Anthropology of Consciousness Spring Conference, San Diego, California, 2007. Rock, A. J., & Krippner, S. (2007, April). When do visual mental images constitute shamanic journeying images? Paper presented at the 27th Annual Society for the Anthropology of Consciousness Spring Conference, San Diego, California, 2007. Beischel, J., Rock, A. J., & Schwartz, G. E. (2007, April). Claimant mediums, threshold consciousness, and purported communication with discarnates: A phenomenological study. Paper presented at the 27th Annual Society for the Anthropology of Consciousness Spring Conference, San Diego, California, 2007. Rock, A. J., & Krippner, S. (2006, September). What is a shamanic pattern of phenomenal properties? Poster presented at the Association for Transpersonal Psychology Conference 2006, Palo Alto, California, 2006. Rock, A. J., & Krippner, S. (2006, September). Some philosophical problems associated with formulating an ontology and epistemology of shamanic journeying images. Paper presented (by invitation) at the 23rd Annual International Conference on the Study of Shamanism and Alternative Modes of Healing, San Rafael, California, 2006. Rock, A. J. (2006, August). Phenomenological study of the impact of induction technique and instruction on visual mental imagery associated with shamanic journeying to the lower world. Paper presented at the Alternative Expressions of the Numinous Conference, University of Queensland, Brisbane, Australia, 2006. Rock, A. J., & Krippner, S. (2006, August). Does the concept of “shamanic states of consciousness” rest on a mistake? Paper presented at the Alternative Expressions of the Numinous Conference, University of Queensland, Brisbane, Australia, 2006. Rock, A. J., Wilson, J. M., Johnston, L., & Levesque, J. V. (2006, April). Ego boundaries, shamanistic journeying to upper and lower worlds, and mood states: An experimental study. Paper presented at the 26th Annual Society for the Anthropology of Consciousness Spring Conference, Pacific Grove, California, 2006. Rock, A. J., & Krippner, S. (2006, April). What is a shamanic pattern of phenomenal properties? Paper presented at the Toward a Science of Consciousness 2006, Tucson Convention Center, Tucson, Arizona, 2006. Rock, A. J., & Krippner, S. (2006, April). What is a shamanic pattern of phenomenal properties? Poster presented at the Toward a Science of Consciousness 2006, Tucson Convention Center, Tucson, Arizona, 2006. Rock, A. J., & Baynes, P. B. (2005, September). The modified affect bridge: A technique for inquiry into the origin of shamanic journeying imagery. Paper presented (by invitation) at the 22nd Annual International Conference on the Study of Shamanism and Alternative Modes of Healing, San Rafael, California, 2005. Rock, A. J., Wilson, J. M., Levesque, J. V., & Rushbrook, P. (2005, September). Is there madness in mixed-methods? Locating the researcher and researched in the qualitative-quantitative debate. Paper presented at the 2nd Qualitative Research as Interpretive Practice Conference, Albury, 2005.